Theft is a big problem here in Playa Del Carmen and bike theft is probably the most common because it’s so easy for the thieves. They can sell the bikes quickly for a little money since bikes are in demand for lower income people looking for an inexpensive way to commute from the the sprawling neighborhoods that have blown up away from Playa Centro and on the other side of the highway. A lot of people do not take my warnings seriously and think they can throw a cheap cable lock on their bikes and it will be sufficient. You can see in this photo the tiny cable lock on this red bike that I was picking up from one of my clients. I gave him a nice, heavy Ulock to use with the bike but he told me he bought the cable lock because it was lighter and easier to use. People, please do not do this! In this case my customer was lucky and the bike did not get stolen but many other people using cable locks have not been so lucky. The thieves here in Playa have short cable cutters that they carry with them and steal bikes in broad daylight right in front of people, sometimes two bikes at a time, by cutting the locks and casually getting on the bikes and riding away as if they own them. Many, many people have lost bikes this way in Playa and it is absolutely, necessary to use a Ulock, preferably a heavy, high quality one, and keep your bikes inside your condo or apartment in the night time. This is the other way many people lose bikes to the thieves here in Playa. The thieves are very aggressive and in the night they will climb over high walls to enter courtyards and gated areas that many people think will be secure. Sometimes they even have trucks to carry the bikes away and cut the Ulocks off later so having a Ulock on the wheel and frame, and not attached to something, won’t stop them. In fact, I caught a thief recently wheeling my bike down the street with a Ulock attached to the frame and back wheel. He was raising the back wheel up a little and trying to act casual. I was running into a cafe quickly so thought I could get away with locking it this way not attached to something. When I caught up with him he gave me a story that another guy had thrown the bike on the ground and ran away and he was a concerned citizen looking for the owner of the bike. Very creative, haha. So always make sure your bike is attached to something or these crazy thieves may even try to carry the bike away! You can always link the bikes together if you are looking for a quick solution and there is no bike rack or post to lock your bike up to but this is not ideal. 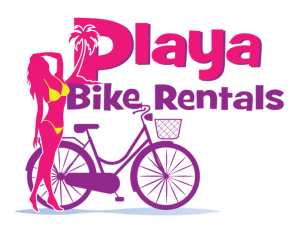 I am not aware of any other bike rental agencies in Playa that use Ulocks besides us and I assume it is because of the added cost. The good Ulocks are more expensive and harder to find here so I buy as many as I can when I go to the United States. Some other scenarios that sometimes play out to be aware of is theft by security guards and hotel and condo employees. Guys, please do not be naive. The security guards here are paid very little and they often will look the other way and let a friend, who they have contacted, come and steal your bikes from the “secure” area or garage of your condo building or hotel. Just because there are security guards or cameras does not mean you do not have to use the locks. Those guys will steal your bikes in the night too. They also love to steal the Ulocks so please do not leave them lying around with the key at your condo or hotel. I came to pick up bikes at one hotel in Playacar where my clients had left the bikes locked up and turned the keys over to the front desk. The Ulocks and keys were gone, stolen by a staff person who had access to the front desk in the night. Unfortunately, sometimes the hotel and condo staff are looking to pilfer whatever they can get away with so please do not be fooled into thinking they will keep an eye on your bikes or are looking out for you because you are a guest. It’s not there fault really they just don’t get paid anything. I always try to leave generous tips wherever I go when I receive good service it really helps. So there you have it, the down and dirty on bike theft in Playa. I have found that many rental agents and vacation rental owners will advise people against bike rental because they had bikes available for their condo guests and they got stolen because they had cheap cable locks. This is to bad because with a little common sense it really is no problem. 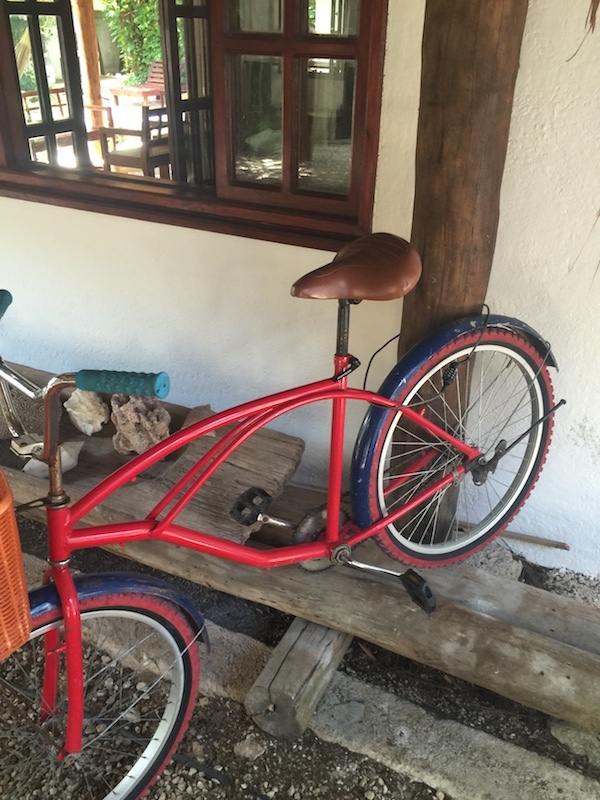 If you are going to be staying in a place that is a penthouse or third floor deal and their is no secure place to lock up the bikes off the street in the night it might be best to stick with daily rentals but otherwise pedal on Playa Del Carmen.